Co-sponsored by the American Bar Association’s Presidential Commission on the Future of Legal Services and Stanford Law School, this national summit was designed to challenge thought leaders to find new ways to increase access to justice. Hosted by ABA President William Hubbard and co-chaired by the Honorable Jeremy Fogel and Professor Deborah Rhode, this invitation-only event featured some of the biggest names in law. From state supreme court justices and presidents of the NAACP to general counsels, founders and CEOs of major U.S. companies, there was much to learn and talk about. The speakers were well-prepared and the presentations, excellent. Although technology was addressed to solve many problems in the legal field, there was great focus on the gaps in justice. Whether it was the high cost of legal services, shocking statistics about pro-se clients, or disenfranchisement due to racism, what was learned was scary, necessary, and enlightening at the same time. president of the ABA, Richard Barton, founder of Expedia, Mark Britton, founder and CEO of Avvo, and Chief Judge Ann Aiken of U.S. District Court for the District of Oregon. President Hubbard discusses the National Summit on Innovation in Legal Services and how it’s addressing the lack of civil justice for 80-85% of the U.S. population through thought leadership from regulators, lawyers, judges, professors, and technologists. You can learn more here: President William Hubbard at the 2015 ABA National Summit. These interviews feature Professor Andrew Perlman, Shantelle Argyle, Dwight Smith, Judge Laurie White, Terri Mascherin, Chief Judge Ann Aiken, and Steven Crossland discussing different programs that are helping bring the law and justice to those who can’t afford it or otherwise find themselves unable to access it. You can learn more at ABA National Summit: ‘Programs that Bridge the Gap’. These interviews feature Judge Lora Livingston from the 261st Civil District Court in Travis County, Texas, Joseph West from Minority Corporate Counsel Association, Eleanor Acer from Human Rights First, Judge Charles V. Harrington from Arizona Superior Court, Pima County, and Alex Gulotta from Bay Area Legal Aid. Together, they recap these Ted talk style presentations that address changes in the practice of law including improved access for immigrant minors, money generating corporate counsel, and how courts are using kiosks to provide better customer service to the public. You can learn more at ABA National Summit: ‘Focus on the Client’ Mini Presentations. Legal Talk Network producer Laurence Colletti interviews Judit Rius Sanjuan from Doctors Without Borders, Ron Dolin from Stanford Law’s Center on the Legal Profession, Denis Weil from Harvard University, and Professor Manny Medrano, broadcast journalist and adjunct law professor. Together, they review the panel discussion ‘Innovation Beyond the Legal Sphere’ which addressed how ideas from outside the legal profession could help bring greater access to law and justice. You can learn more at ABA National Summit: ‘Innovation Beyond the Legal Sphere’. Fellow at CodeX Monica Bay interviews Judge Charles Harrington and Avvo CEO Mark Britton at the 2015 ABA National Summit on Innovation in Legal Services. As Britton’s uncle and mentor, Judge Harrington talks about the importance of giving advice to younger lawyers while Mark reflects on his support systems and discussing key decisions with family. You can learn more at ABA National Summit: A Legal Mentor with Judge Charles Harrington and Mark Britton. CodeX Fellow Monica Bay interviews keynote speaker Richard Susskind at the 2015 ABA National Summit on Innovation in Legal Services. Together, they discuss using technology for dispute resolution and containment. 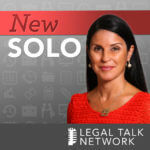 Tune in to hear his specific suggestions for a three-tiered system of internet resources for legal issues. You can learn more at ABA National Summit: Online Dispute Resolution with Richard Susskind. 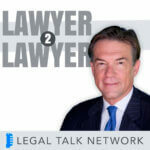 Legal Talk Network producer Laurence Colletti interviews Richard Barton, the founder of Expedia, Zillow, and Glassdoor. Together, they discuss how his laws of disruption apply to innovation in access to justice. You can learn more at ABA National Summit: ‘Barton’s Laws of Disruption’. This interview features Professor Oliver Goodenough, Margaret Hagan, John Suh (CEO of LegalZoom), Lucy Bassli, and James Sandman, who were panelists on the ‘Innovations within the Legal Sphere’ speaking event at the ABA National Summit on Innovation in Legal Services. Together, they analyze the extent to which the legal system is not working for low income and middle class people plus what happens when the population feels disenfranchised by the legal system (like the Baltimore protests). You can learn more at ABA National Summit: ‘Innovations Within the Legal Sphere’. Legal Talk Network producer Laurence Colletti interviews Jordan Furlong, Professor David Wilkins, and Professor Deborah Rhode who were panelists at the ‘Reporting Out with Reaction’ speaking event during the ABA National Summit on Innovation in Legal Services. Together, they discuss ideas like rethinking legal education, establishing different levels of legal representation, and non-lawyer third party ownership of legal service providers. You can learn more at ABA National Summit: ‘Reporting Out with Reaction’.